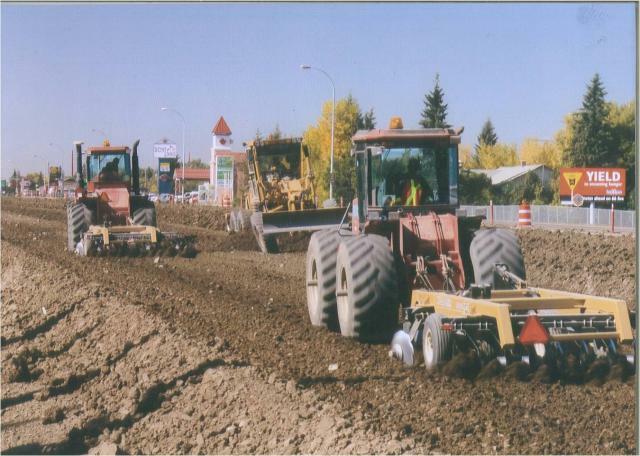 TBL Construction Ltd. is a road builder located in Red Deer, Alberta. Established in 1998, the company currently employs up to 45 employees and sub contractors during the Alberta road building season. TBL manages and implements various types of projects each year: environmental, improvement, repair and new. We work throughout the province but try to concentrate our efforts in Central, Southern Alberta. TBL has a strong commitment and focus on safety. We have implemented a thorough safety program and utilize it to ensure a safe environment for our staff, other contractors and the general public. TBL believes in a strong focus and commitment to staff. We seek staff members who wish to expand their knowledge of road construction and provide the environment and training to help them realize their goals. We welcome newcomers to the industry, recognizing that with increased demands on infrastructure in Alberta comes increased demand for new workers to construct and improve it. TBL provides an excellent working environment with consistent management excellent travel benefits and an opportunity to earn significant paychecks during the season. We work with our employees to ensure their personal satisfaction and comfort while "on the road" with us.